Here are our recent press releases - thank you for your interest. Looking for an insider's view of the Fringe? Check out the blog. Interested in press releases from past years? See our Press Archive. Press Release Apr 8: Final Fringe40 deadline approaches! 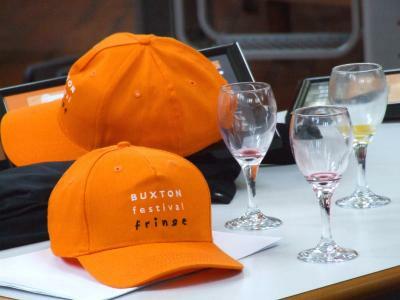 Press Release Mar 11: Buxton Fringe reports big rise in early Fringe entries! Press Release Feb 7: Feb deadline looms for Fringe40 entrants! Press Release Dec 3: Buxton Fringe announces art contest winner! Press Release Nov 12: Sing along with Buxton Fringe! Press Release Oct 22: Buxton Fringe announces £40 early bird entry fee for Fringe40! Press Release Sep 27: Buxton Fringe announces three weeks of fun to mark Fringe40! Press Release Aug 29: Could you design Buxton Fringe's 40th programme cover?